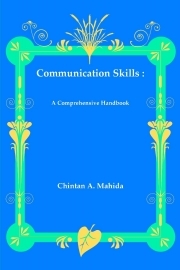 Description of "Communication Skills : A Comprehensive Handbook"
Discussion, Interviews, Presentation Startagies, Reading Stratgies, Listening Skills, Business Letter Writing, Report Writing, Application Writing. Overall objective of this book is to help the reader get an overview of communication skills in nutshell form. Chintan A. Mahida is a Chief Editor and Publisher of many renowned International Peer- Reviewed Research Journal of Publish World. He has started many International Journal in Gujarat like “Research Expo”, “Quest”, “Acme”. He has been associated with teaching for last 5 years. He has worked as Asst. Professor in English in Dr. Jivraj Mehta Institute of Technology, Mogar. He has done his M.Phil from Sardar Patel University. He has authored many books and papers in renowned International and National Research Journal. Reviews of "Communication Skills : A Comprehensive Handbook"